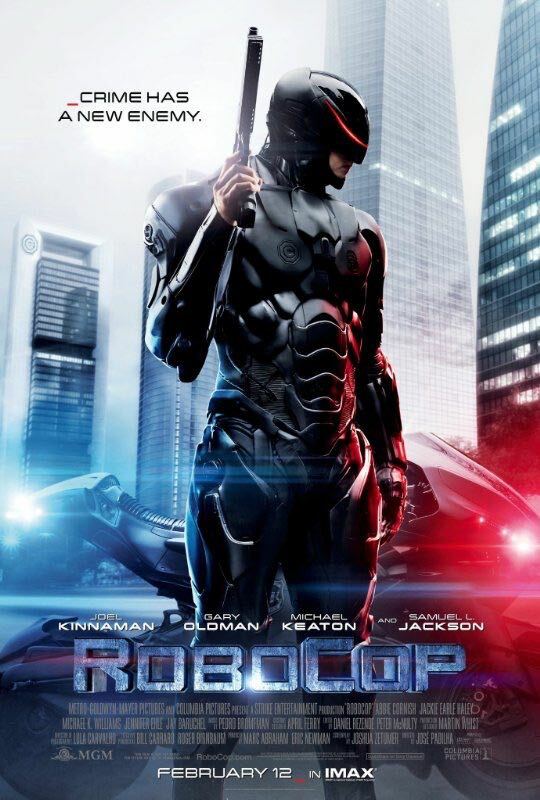 My Review: RoboCop - 2014 (Action, thriller, sci-fi, drama) A remake of the classic film from 1987. The original was an outstanding movie, starring Peter Weller and directed by Paul Verhoeven. This one is directed by Jose Padhila, stars Joel Kinnaman, Gary Oldman, Michael Keaton, Samuel L. Jackson and others. The writing in the new one has a few too many pens in the ink, and this is another instance where that almost ruined the show. Thankfully many elements of the script were retained. I especially liked the fact that it (like the original) was satirical. Being an entirely American film, this one might be a bit less popular with the European crowd. I was also surprised that it wasn’t as violent or bloody as the original. There were lots of explosions and a lot of shooting, but not so much with the bloody corpses. The setting and characters are the same as the original (with a few minor deviations). With Robots, Drones, and the Cyborg, this movie is a glimpse into the not-too-distant future that will likely frighten and surprise you. Set in a 2028, Detroit is a city overrun by crime and corruption, and the human cops can’t keep up. When Alex Murphy is targeted for elimination by the criminals, an explosion takes him out of the picture. Until OmniCorp transforms him into a crime fighting cyborg. Like the original movie, Officer Murphy’s human side is an uncontrolled element in the corporation’s profit motive calculations. This reboot was far better than I thought it would be, but it takes a couple of viewings to see past the flashy cgi, pyrotechnic displays and overwrought musical score. I especially enjoyed the fact that the casting put a young actor in the title role. With Joel Kinnaman as an unknown quantity (to most movie-goers), I really didn’t know what to expect out of this ‘Murphy’. Can the man inside the machine be controlled in the same way that his servos and actuators can? Can OmniCorp use Murphy to maximize their profits? The only thing that’s really lacking in this movie is the villain. We expect CEOs to be profit hungry opportunists, and the man who bombed the Human Officer Murphy is never highlighted as a villain. The movie is more of a human drama than it is a crime and justice treatise. In the end I gave it a 3 out of 5. Summary: The year is 2028 and multinational conglomerate OmniCorp is at the center of robot technology. Overseas, their drones have been used by the military for years - and it's meant billions for OmniCorp's bottom line. Now OmniCorp wants to bring their controversial technology to the home front, and they see a golden opportunity to do it. When Alex Murphy (Joel Kinnaman) - a loving husband, father and good cop doing his best to stem the tide of crime and corruption in Detroit - is critically injured in the line of duty, OmniCorp sees their chance for a part-man, part-robot police officer. OmniCorp envisions a RoboCop in every city and even more billions for their shareholders, but they never counted on one thing: there is still a man inside the machine pursuing justice. 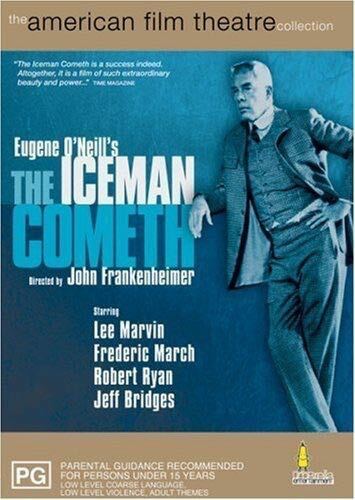 My Review: The Iceman Cometh - 1973 (Drama) It’s a play made into a movie, so there’s a lot of talking. Directed by John Frankenheimer, starring Lee Marvin, Fredric March, Robert Ryan, Jeff Bridges and others. The entire story takes place within the set of a dark and depressing bar. A reformed (dry - no longer drinking) salesman returns to the font of all his woes. He’s back as a beacon of hope, selling a pitch to his former bar mates. ‘You too can be free of the demon in the bottle!’ The residents of this 1912 New York bar are co-dependent upon each other. The bartender, the residents, the drinkers and the bar flies. They’re all locked in a death spiral. Spending the entire day and night at the bar, they can’t keep a job, they can’t face their families, they can’t get on with their lives. Recognizing the terrible conditions of the patrons in this pub, Hickey (played by Lee Marvin) returns to the bar. Handing out free drinks, he’s preaching while the patrons drink. The movie is 4 hours long, and this causes some problems with the story. While the mood is morose, the dialog is delivered at a break-neck pace. The characters are quite rich. The details in their flaws and personalities are deep and layered. The acting is outstanding and the direction superb. Unfortunately, problems with the sound make this movie difficult to understand at times, and with a movie that depends on dialog that’s not a good thing. I was drawn in by the drama and captivated by the tragedy. Unfortunately the length of the movie and poor sound quality detracted from it’s brilliance. I give this movie a 3 out of 5. Summary: It's 1912 and the patrons of 'The Last Chance Saloon' have gathered for their evening of whiskey to contemplate their lost faith and dreams, when Hickey (Lee Marvin) arrives. Hickey is out to convince everyone that he can help them all find peace of mind by ridding them of the foolish dreams and by bringing them back to reality. Hickey is working especially hard on Larry Slade (Robert Ryan) a former anarchist who has lost his will for life and is awaiting the eventuality of death. Larry is not affected by the cajolings of Hickey but his young companion Parritt (Jeff Bridges) is strangely affected and this leads to revelations about his own mother and feelings of betrayal and loss. As the night wears on the mood changes as everyone has the their faith and dreams slowly destroyed by Hickey. As the anger builds everyone turns on Hickey about his wife and the iceman. This leads to more revelations and with Hickey having the faint questioning of his own new found convictions. My Review: 47 Ronin - 2013 (Action, Adventure, Fantasy, Thriller) Another telling of a legendary tale from Japanese history. The legendary tale is referred to as ‘Chushingura’ - It is a story of revenge executed by the 47 ronin of Ako against Lord Kira. The story takes place in Feudal Japan during the early 1700s. In this romanticized version, the screenplay incorporates numerous fantasy elements, mystical scenery and supernatural imagery. Directed by Carl Rinsch, this movie stars Keanu Reeves, Hiroyuki Sanada, Ko Shibasaki, Tadanobu Asano, Min Tanaka, Cary-Hiroyuki Tagawa and many other actors that most Americans won’t recognize. Unfortunately, the story varies greatly from the traditional/historical tale of Chushingura. For some unknown reason, the producers thought that the only way that an American audience could understand a Japanese tale was by incorporating an American actor into the story. Keanu Reeves doesn’t add anything special to the film, and the incorporation of a ‘Western half-breed orphan’ into the story brings nothing but dissonance to a traditionally excellent telling of the 47 Ronin story. The cgi and visual effects are outstanding, but that’s not what makes the 47 Ronin an excellent story. There are many elements of drama and character development missing in this highly artistic film. The film work and lighting were perfectly executed, and you can definitely appreciate the level of detail evident in the editing of this movie. The costumes and set design were superb, as was the sound production and music. The acting was very good, but the story seemed a little too-contrived for my taste. Being familiar with the Chushingura, I was a bit put-off by the variations from this traditional Japanese tale. I was a bit put off by the ‘live action’ anime aspects of the film. It was a bit over-the-top in this respect. I would have preferred more human drama, character development and a little less of the fantasy horror cgi and visual effects. I give this movie a 3 out of 5. Summary: While hunting in the forest, Lord Asano of Ako and his samurai find a young half-breed and take him with them to live in the castle. Several years later, Lord Asano holds a tournament to welcome the Shogun to Ako. The night after the tournament, Lord Asano is bewitched into hurting Lord Kira of Nagato, and is punished into committing seppuku by the Shogun. Realizing that it was a Lord Kira's evil plot, the samurais and the half-breed sets out for revenge against the Shogun's order. My Review: one Survivor - 2013 (Action, adventure, drama, biography) This action packed drama is based upon the real-life war story of Marcus Luttrell and the four man Navy Seal team sent on a mission to kill a Taliban leader (Ahmad Shah) in the Hindu-Kush mountains of North-Eastern Afghanistan (operation Red Wings). Screenplay (based on a book co-written by Marcus Luttrell) and direction by Peter Berg (The Kingdom, Hancock, Battleship). The movie stars Mark Wahlberg, Taylor Kitsch, Emile Hirsch, Eric Bana, Ali Suliman, Alexander Ludwig, Yusuf Azami, Sammy Sheik, Dan Bilzerian and others. 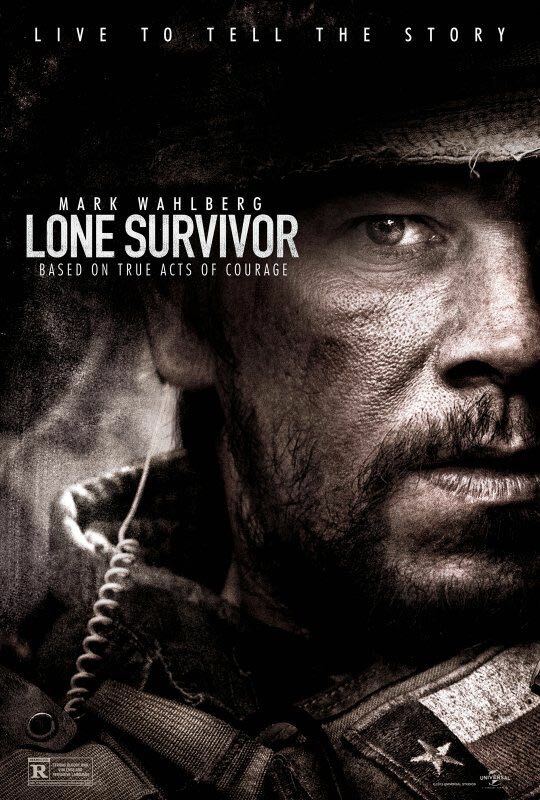 Lone Survivor is the relentlessly brutal story of the Navy Seal’s struggle to survive after being discovered behind enemy lines in Taliban territory. The four man unit is hunted by a large group of Taliban fighters. How they struggled to survive, their bonds of fraternity, the deadly serious consequences of non-stop, attack and evade combat on an up-close personal scale. The brutality of this film was very difficult to stomach. The seal-team characters were well developed, but the Taliban opponents were no more than card-board cut-outs. An extremely tense tale of combat and survival. The movie is so tightly wound that there’s no room for reflection when you’re constantly dodging bullets. The pacing and camera work are astonishingly tight. The editing splendid and the direction excellent. I rate this shooting gallery a 3 out of 5 as it blasts its way across the screen. Summary: Marcus Luttrell, a Navy Seal, and his team set out on a mission to capture or kill notorious Taliban leader Ahmad Shah, in late June 2005. After running into mountain herders and capturing them, they were left with no choice but to follow their rules of engagement or be imprisoned. Now Marcus and his team are left to fight for their lives in one of the most valiant efforts of modern warfare. 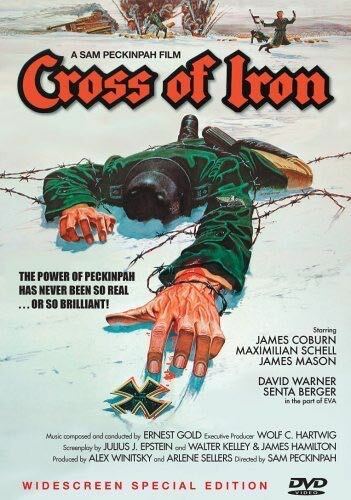 My Review: Cross of Iron - 1977 (Drama, war, action) A WWII drama featuring Nazis and Russians. Directed by Sam Peckinpah (The Wild Bunch, Straw Dogs, The Getaway), starring James Coburn, Maximilian Schell, James Mason, David Warner, Senta Berger, and others. This is an anti-war film from a German point of view. It depicts the decline of German might during WWII. As the war grinds on in the Eastern Front, the German air of superiority begins to see its first signs of defeat. Set in 1943 on the Russian front, this movie is somewhat like ‘All Quiet on the Western Front’. It features the absurdities of war, where men are forced to follow the orders of men who care more about their personal ambitions than they do about the men they command. Jame Coburn does a magnificent job as Cpl/Sgt Steiner, the battle hardened, pragmatic and courageous soldier who’s doing his best to survive with honor. Maximilian Schell plays Capt. Hauptman, a last vestige of the German aristocracy, who is only interested in his own personal ambition. He will earn the Iron cross despite the fact that others must sacrifice for his vanity. He is despicable, a pox upon the truly courageous troops fighting for their survival and some semblance of honor, and a damn fine actor. Oh how you come to hate him by the end of this movie. The movie is quite violent at times, but none of it is beyond the destruction you would expect in the midst of the Russian front. The Russians are treated as a backdrop or moving thematic element in the movie, relegated to the role of scenery and mood setting. Some of the writing was weak, but the direction was excellent. The poor quality of this pan-and-scan transfer is atrocious. The sound is horrible, and unfortunately it’s all in English. In the end its a good movie and it could be better with some restoration. I give it a 3 out of 5. 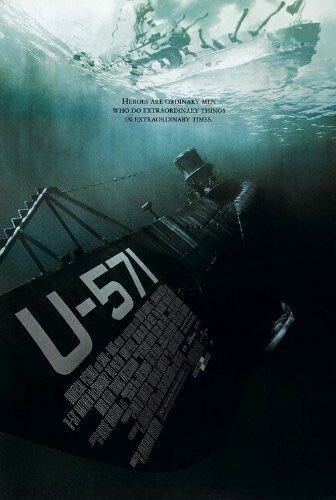 My Review: U-571 - 2000 (Action, war) Written and directed by Jonathon Mostow (Terminator-3, Breakdown) here's a tale of WWII with a very authentic feel. The movie was well cast - Matthew McConaughey, Bill Paxton, Harvey Keitel, Jon Bon Jovi, Jake Weber - With some veteran and junior actors. The story is that of the Enigma Machine - During WWII, the Germans used an encryption algorithim; code named Enigma (by the Allies), to secure their communications. If the Allies could only get their hands on one of the machines, they could reverse engineer it, and change the course of the war. That's where our crew of submariners comes in. An old American sub is rigged to look like a German U-Boat, and the deception begins. This movie is shot almost exclusively on the set of a leaky old submarine. More than one actually, and the sets were entirely believable. Not only the sets, but the mock-ups, props, costumes and all the period shots. The movie was entirely convincing in that aspect. The special effects, technical aspects and cgi were all done exceptionally well. The scenes which depicted depth charges exploding near the submarine were awesome. The acting and direction was good, but there was some feel of anachronism. The characters acted more like a modern day group of individuals than a crew of a 1941. That's a minor complaint regarding this fantastic film. It's filled with some great suspense, action and drama. A tense, submarine adventure. I give this movie a 5 out of 5. Summary: A German submarine is boarded by disguised American submariners trying to capture their Enigma cipher machine. 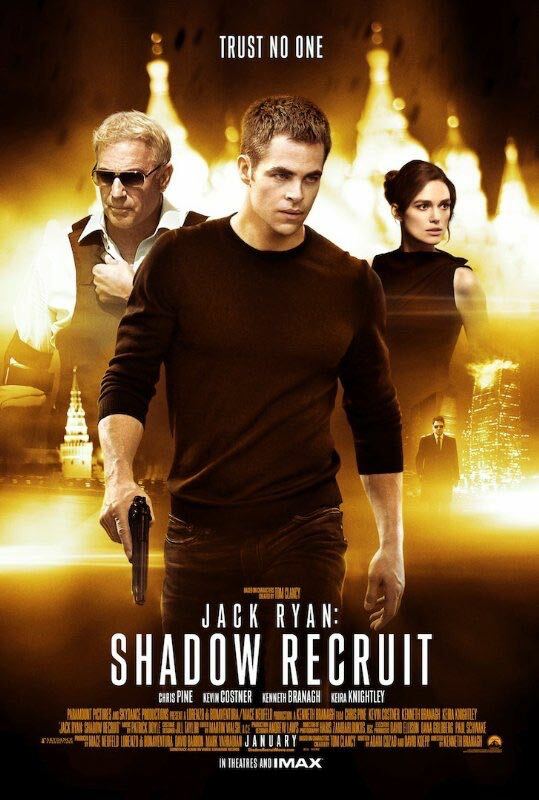 My Review: Jack Ryan: Shadow Recruit - 2014 (Action, drama, thriller) This film is a reboot of a genre and character. Based upon the Jack Ryan character from the Tom Clancy novels. It’s not a movie based upon a Tom Clancy novel. It’s just an opportunity to capitalize on the character. Directed by Kenneth Branagh, the movie stars a mostly young cast: Chris Pine (as Jack Ryan), Keira Knightley, Kevin Costner (as Thomas Harper - Jack’s handler), Kenneth Branagh, Lenn Kudrjawizki, Alec Utgoff, Peter Andersson and others. The plot moves forward at an incredibly brisk pace - Far too brisk for this viewer. So fast in fact that I really had little idea what was happening. If there was anything deeper than the flashy car chases and action scenes happening here it was completely lost on me. The story seemed (and it’s hard to refute given the pacing) to be so shallow that it lacked any development. Chris Pine plays Jack Ryan a young ‘covert’ CIA analyst - He enlisted in the Marines after 9/11, and found himself serving in Afghanistan when a helicopter he’s in is shot down. While he’s recovering, the CIA recruits Ryan and he ends up doing financial analysis for the CIA. When Ryan uncovers some financial discrepancies that warrant investigation, he’s off to Russia and a plot to take down the US economy with a well timed terrorist threat is soon uncovered. It’s an origins movie. The origins of the character and that’s all. There are some spy thriller segments that left me anxious to see more, but this movie pales in comparison to others of the genre. This movie falls well short of the Bourne standard. The production value was high, and the editing quite good, but the direction is lacking in this weakly written movie. Not much to see here. I give it a 3 out of 5. It was entertaining, but lacked much substance. My Review: Band Of Brothers - 2001 (War, action, drama, history) The true story of WWII based upon a best selling novel by Stephen Ambrose. Based upon the profiles of the men of Easy Company, an airborne infantry regiment that was dropped into occupied France on D-Day. These soldiers fought the Battle of the Bulge and captured Hitler’s Eagle’s Nest mountain redoubt. The story carries on through VJ day, capturing all the most important details. The stories are torn from personal journals, interviews, and written correspondence of the men who lived these battles. Drenched with bravery, heroism, pain and misery, here is a monumental tale in ten episodes (including a documentary about the men depicted by the actors) over six discs. Originally aired as a mini-series, I’ve purchased the entire collection and I’ve seen it multiple times. As a television series it is unparalleled. It ushered in a new era of television production levels. HBO set a new standard for television dramas, and this will stand as the benchmark of excellence for many years to come. This series was made when many of these men were still alive, and the writers, producers and actors were able to draw upon their personal experiences in telling these tales. Unfortunately, now (in 2014) many of these Veterans are now passed away. Thankfully, we have a series as truthful and genuine as the Band Of Brothers to recount the honesty and tragedy of these brave men. One of the very best WWII stories ever told on film. The writing was outstanding and the acting lacked guile or pretense. Honest portrayals by an uncompromising group of actors (too many to mention), directed in a superb manner by multiple Directors. 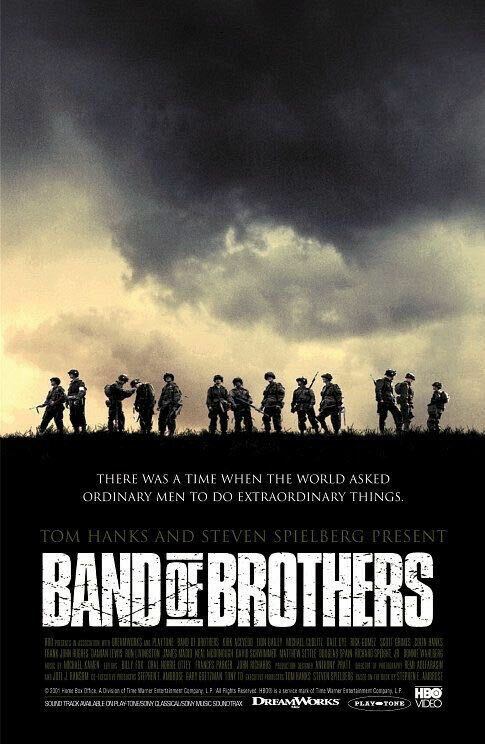 Despite the disparate cast and multiple directors, the production (by Tom Hanks and Steven Spielberg) stayed consistent and the writing was a constant in the narrative, making a whole out of several different stories. The style of the movie reminds one of Saving Private Ryan, and this is the epic of an entire war as told in that style. Filmed on location in various different European settings, the authenticity is depicted in the sets, dressing, costumes, and effects. Despite the outstanding technical efforts evident throughout the film, it is the human element of the actors and the characters they portray that really marks this movie as a hallmark in character based dramas. A historical masterpiece. I give it a 5 out of 5. Summary: The story of Easy Company of the US Army Airbourne Paratrooper division and their mission in WWII France during Operation Overlord. 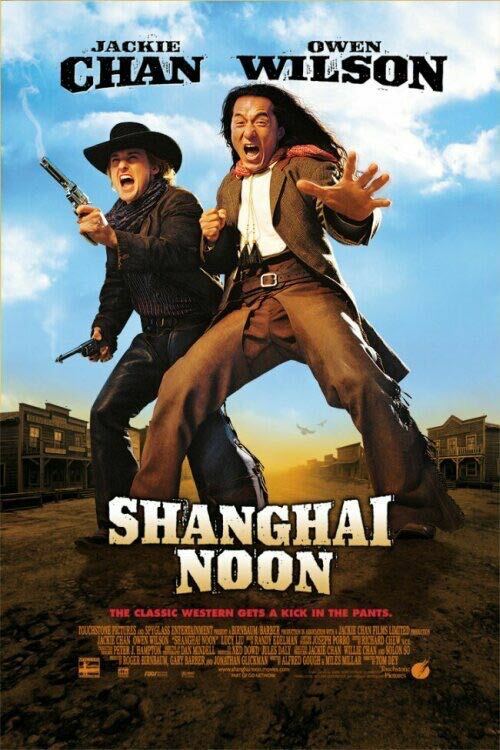 My Review: Shanghai Noon - 2000 (Action, adventure, comedy, western) A ‘cop-buddy’ movie wearing chaps. This comedy is set as a western in the 1800s Wild West of the US. Directed by Tom Dey? (I’m totally unfamiliar with that name), this movie has a great cast. Jackie Chan (as Chon Wang (Sounds like ‘John Wayne’)), Owen Wilson (as Roy O’cannon), Lucy Liu (as Princess Pei Pei), Brandon Merrill (as the Indian Wife), Roger Yan (as Lo Fong), Xander Berkeley (as Van Cleef), and others. Jackie Chan is ‘Chon Wang’ - An imperial guard who feels personally responsible for the kidnapping of Princess Pei Pei. He travels to America (against the wishes of the Imperial Guard) in an effort to help free Princess Pei Pei. While the official ‘entourage’ tasked with delivering a ransom are completely clueless, Chon Wang takes his duty seriously and does all he can to… His efforts are soon derailed by Roy O’Bannon (played by Owen Wilson) a minor criminal with more charisma than brains. In an unlikely pairing, train robber O’Bannon and Chon Wang team up to defeat the Chinese traitor who’s teamed up with a corrupt American Marshall and free Princess Pei Pei from the clutches of these evil men. The movie features some fantastic choreographed martial arts (by a 53 year old Jackie Chan) and lots of laughs by both actors. Jackie Chan and Owen Wilson were fantastic together and the movie is far more enjoyable than some of the other Jackie Chan pairings I’ve seen in the past. I give it a 4 out of 5. Summary: Jackie Chan plays a Chinese man who travels to the Wild West to rescue a kidnapped princess. After teaming up with a train robber, the unlikely duo takes on a Chinese traitor and his corrupt boss. 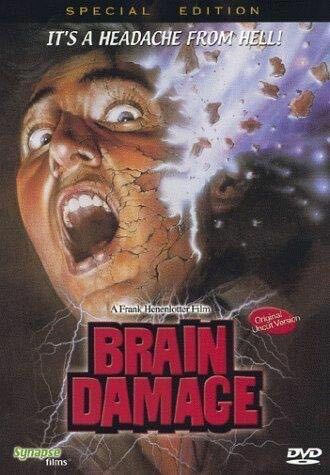 My Review: Brain Damage - 1988 (Comedy, horror) This movie is one of those 80s Horror movies with comedic elements (An American Werewolf in London, Creepshow, Ghostbusters, Gremlins, Once Bitten, Troll, Beetlejuice, They Live, etc). Adding nothing new to the brew, this movie did deliver on the laughs. Written and directed by Frank Henenlotter, the movie stars Rick Hearst, Gordon MacDonald, Jennifer Lowry and others. The movie takes place in New York city where Brian is trying to earn a living in the big city. Things are going ok, until Brian’s brain becomes home to Aylmer; a strange purple cucumber-like parasite that infuses Brian’s brain with a powerful narcotic/psychotropic substance that gives Brian extrasensory powers and a compulsion to Kill! He proceeds to murder at the behest of this creature, consuming the brains of his victims in a bizarre symbiotic relationship. The violence and gore are low-budget, and this movie is clearly in the B-Horror category, but I loved the campy antics of Aylmer. The story is quite original, the pacing and direction excellent, and the movie is filled loads of tasteless jokes and offensive gags, making for a great cult flick. If you bother to spend any time examining the movie, you might catch some of the more powerful themes in the movie; drug addiction and social pressure for upward mobility. On another note, despite the low budget, the movie featured some great music (in my opinion). I give this cult classic a 4 out of 5. Summary: A normal, average guy who lives in New York City becomes dependent on an evil, disembodied brain. The brain feeds the guy a narcotic substance in exchange for his unwilling assistance in obtaining the brains of innocent victims for sustenance. This turns into a tour of circa-1980s underground NYC clubs, backlots, and other seedy locations. One scene features the band Swimming Pool Cues playing the song "Corruption."